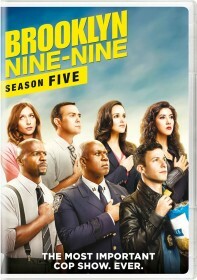 NBC has released the synopsis for the April 25 episode of Brooklyn Nine-Nine, "Ticking Clocks". 04/25/2019 (09:00PM - 09:30PM) (Thursday) : In an episode that takes place in real time, Jake and the squad must track down a hacker who has infiltrated the Nine-Nine's servers. Rosa deals with relationship issues. Hitchcock and Scully attempt to cook the perfect lasagna.